A ride up to the top of the Moses Mabhida arch gives stadium guests breathtaking 360º views of Durban. 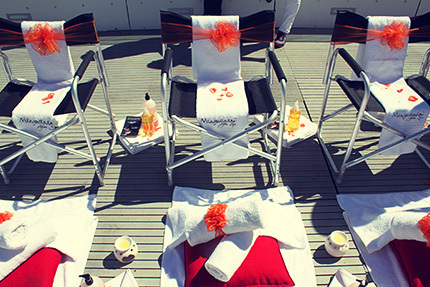 Pair that with a massage while taking in the scenery? Sounds like a little piece of heaven, doesn’t it? 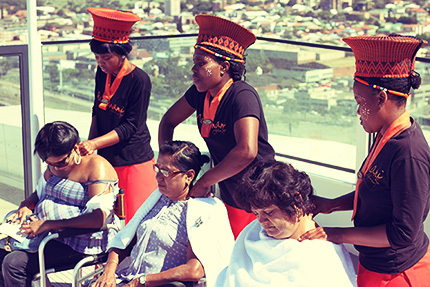 On Sunday the 1st of September, Mangwanani Spa teamed up with Moses Mabhida to treat a few lucky people to a free 10 minute massage at the top of the arch. Surrounded by unrivalled views and a spa-like setting, they forgot all their cares and soaked up the serenity. The aptly named Spa in the Sky was a first for both Moses Mabhida Stadium and Mangwanani Spa, and is definite must for the future. Needless to say, unwinding with views like that – 106m above the Moses Mabhida Stadium pitch – is the best kind of unwinding.